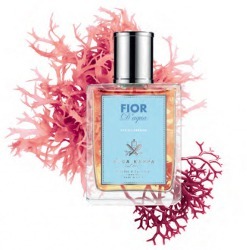 Italian brand Acca Kappa has launched Fior D'Aqua, a new marine citrus fragrance. Additional notes include petitgrain, rose, ozonic notes, orange blossom, lily of the valley, jasmine, patchouli, datura, sandalwood, amber and benzoin. Acca Kappa Fior D'Aqua is available in 100 ml Eau de Parfum. I really like this line… Already on my fourth bottle of Muschio Bianco which never fails to prompt someone to ask what I am wearing. Though I am not a big fan of aquatics, I’ll still try this one as I will the new Hermes Eau de Merveilles Bleue, another marine scent on the way. Both sound like there are some other interesting notes included in the mix. Oh nice! I forget to wear my own favorite, Calycanthus. Wish I still had the soap, it was lovely.